The social benefits of office life without the commute, high rents and childcare costs. Money spent on excessive accommodation costs, childcare fees, cost of wining and dining etc. can instead be spent on… well whatever you’d like! Learn more about The Hub and the packages we offer. We are currently recruiting for jobs based at Sneem Digital Hub. If you are interested in enjoying the benefits of working and living in Sneem, why not provide your details, in a 100% confidential manner, for our Skills Register? It’s just a way of informing you of potential jobs, or for you to be considered for Sneem-based roles which might match your experience and expertise. “Working from Sneem Digital Hub has been fantastic. The internet is really fast and dependable. The Hub is a wonderful initiative. My role is 100% home based but with two young babies at home, it is very difficult for me to work effectively from home. The Hub is a lifesaver for my family and me. I cannot thank all of the hardworking people enough that were involved in delivering an extraordinary space for professionals to work in. Knowing the Hub was opening was a fundamental reason for my family’s move from London to Sneem. 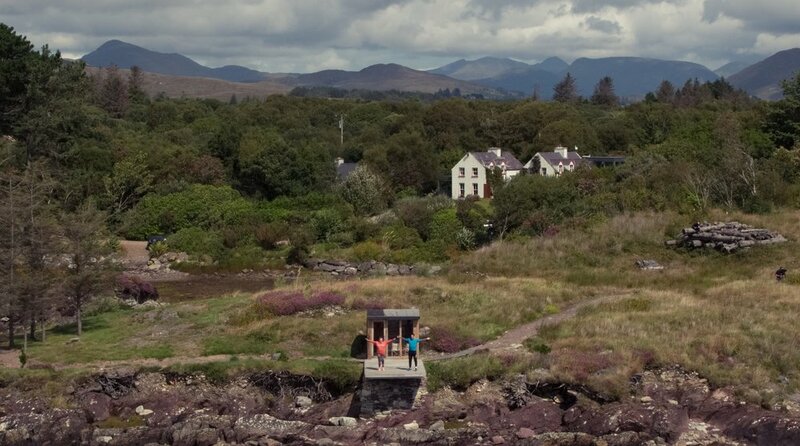 "I spent a week working from Sneem Digital Hub in September. Aidan and the Hub made me so welcome providing me with a quiet, warm room where I was able to log onto my work system. If we had more centers like this around the country it would help support flexible remote working arrangements. Thank you."